Manufacturer & Exporter of Globe Valve Disc. 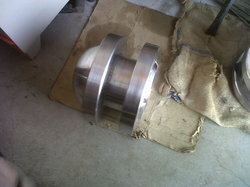 Our product range also comprises of Valve Trims, Valve Disc and Stellited Components. We have been counted amongst the most trusted names in this domain, engaged in providing Globe Valve. We feel proud to introduce ourselves as the well-known manufacturers and suppliers of Globe Valve Disc. The offered globe valve disc is made from cobalt –chromium alloy for ensuring longer service life and optimal durability. Our supplied globe valve disc is highly liked and acclaimed by the clients, owing to the accurate dimensions and durability. We are one of the leading manufacturers and suppliers of Globe Valve Disc. The offered globe valve disc is widely used for the sewage disposal applications and irrigation units. Our supplied globe valve disc is made from high grade raw materials such as inconel and monel. The offered globe valve disc is available at very cost effective market selling price. Globe Valve Disc offered can be made available by us in different finish configuration choices and perfectly match up with the specific working needs of the customers. 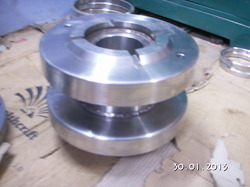 The different material options these valve discs can be made available in include F22, F91, A105, SS316, F11 and others. Some of its features include available in size 2 inch to 16 inch or as per customer drawing and requirements; suitable for controlling medium to open and close; available in material options of stainless steel/ duplex/ nickel base alloys; superior investment casting finish. We feel proud to introduce ourselves as the well-known manufacturers and suppliers of Gate Valve Disc. The offered gate valve disc is a special fabrication for pressure control and regulation in pipelines. Our supplied gate valve disc is made from superior grade raw materials such as stainless steel, inconel and monel. 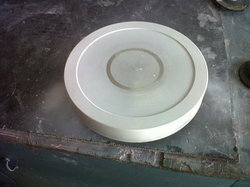 The offered gate valve disc is a low maintenance tool. Looking for Globe Valve Disc ?